A bad mouth odour is a foul and unpleasant smell emanating from the mouth and it can be a big obstacle to enjoying good meals and keeping friends closer with good conversations. Bad breath is a major turn-off for people and most times those that are close to you will not like to tell you about it but rather just try to keep away from you. The mouth is one of those important parts of the body that serves several useful purposes in life. We must eat and drink to remain alive, and the first point of taking in food and drinks into the body is through the mouth, here we get the real taste and enjoyment from the meal and also kick start the process of digestion. Another very important use of the mouth is in its use for communication. Talking with the mouth is the primary way of expressing ourselves and maintaining relationships with others. So if you start noticing some certain behaviour from people that you talk to and even start perceiving a foul smell from your mouth, make sure you take quick steps to remedy the situation so that it does not develop to become even worse. Poor dental hygiene: What this simply means is that people who develop bad mouth odour do not take proper care of their mouth in general. They do not care to brush properly and regularly, they overuse one toothbrush and they do not care when they even start noticing some signs of gum inflammation and foul smell in their mouth. Type of diet: Diet is one of the causes of bad breath. You should be mindful of what you eat and drink as this, to a large extent will determine how your mouth smells. Infection: Mouth smell can also be the result of an infection in the mouth or in the digestive pathway. The buildup of plaque and other bacteria can lead to a foul smell coming from the mouth. Brush regularly and properly: Do not neglect the importance of brushing your teeth at least twice in a day. At morning when you wake up and at night before going to bed. Sometimes, depending on the type of food you eat, you can also brush your teeth after eating some meals. Also, it is important to brush properly with an up-down motion on the teeth surface, inner sides, biting surfaces and the tongue. Remember to change worn out toothbrushes too. Herbal remedy: The effectiveness of using herbal extracts to tackle bad mouth odour can be seen in the growing number of toothpastes that are now using herbal extracts in formulating their products. But the most effective cure for mouth odour is the Kedi herbal medicines, Constilease and Colon cleanser, which has a deep cleansing action that neutralizes bad odour and kills off bacteria. 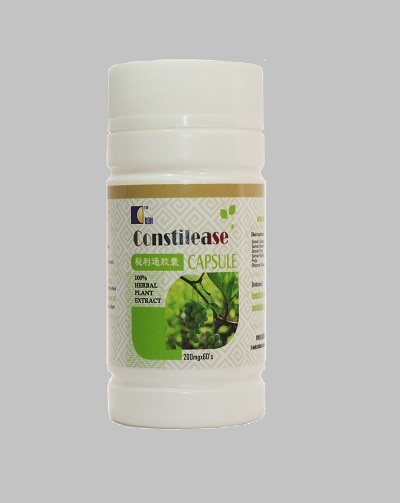 You can order for Constilease herbal medicine and Colon Cleanser for the treatment of bad mouth odour. 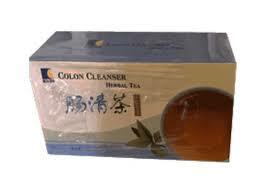 The price for Constilease N7,860 and Colon Cleanser is N4,460 excluding cost of delivery. We sell member price to encourage patronage and to open membership account with us after you have result that our food herbal medicines/supplement works. We offer prompt delivery of the product using courier services for between N500 and N2,500 nationwide. Call us on Mobile: 2348033205456 and Click her to Send Mail. Adenoids treatment, symptoms and causes: Sore throats can be a seriously troubling condition, but when it is accompanied by breathing difficulties and heavy snoring, then it becomes a cause for real concern and the likely cause of these issues could be an enlarged adenoid or adenoiditis. Barber itch: As a man, it is not unlikely that you will visit a salon regularly or make use of a clipper in cutting your hair, shaving the beards and maintaining your good looks. But as you go about grooming yourself, you should be mindful of the risks of the infection known as barber's itch. Bleeding gums: Do you notice blood stains whenever you are brushing your teeth? Then you should consider taking action about it, as gum bleeding are usually the main symptom of a disease known as gingivitis. Many people show very little concern when they notice that they have this problem, and since this condition is usually not painful, they tend to ignore it. Bruxism treatment, symptoms, and causes: Have you ever been told that you grind your teeth while sleeping? Or have you noticed this behaviour in someone else? The sound of grinding teeth at night may seem normal or even humorous, but it could actually be a sign that is indicative of an underlying health problem and the root cause of that persisting headache. Catarrh, which is often referred to as nasal congestion, is the excess release of mucus and it can be the cause of great discomfort and irritation of the body’s airways. This accumulation and release of mucus is an effect of the body’s immune system responding to an infection or irritation. Ear infection can be a very problematic condition especially when it happens in children who will writhe in pains and hold the ears crying. Even in adults, ear problems can cause an intense pain that gives serious concerns as the discomfort sometimes leads to headaches. Herbal medicines for tonsillitis and other options for treatment: The mouth is the major pathway into our body, everything that we eat and drink passes through the mouth and it is sometimes used for breathing. It, therefore, becomes important that there must be a guard in this pathway to regulate the passage of substances; this is the main function of the tonsils. Laryngitis treatment: Are you having pains in your throat, which is making it difficult for you to swallow or even talk normally? Then it may just be a case of laryngitis. This is a helpful information on the likely causes of the condition and the best ways to treat it effectively. Natural halitosis treatment and causes: Nothing can be as resentful as a bad breath; it obstructs direct conversations and can create a social stigma for the sufferer. It is one of those health conditions that causes both physical and psychological problems as it can result in a damaging low self esteem. So let us look at what really causes bad breath and how it can be effectively treated. Shortness of breath: Are you having a hard time breathing normally to the extent that you find yourself gasping for air? Then you might be suffering from breathlessness, a condition medically referred to as dyspnea. Treatment of gingivitis, symptoms and causes: The teeth are very important structures that play a vital role in breaking down food before it enters the digestive tract. Each tooth is firmly held in place by the gum, and sometimes these gums may become infected which results in damage or loss of a tooth. One of the common gum infections is gingivitis.